WE CAN REPLACE IT !! Our scratch removal and glass restoration system consists of a machine, not a glaze or a chemical. This scratch removal system is portable, self-contained and performs remarkably on all types of glass, removes graffiti from glass and removes scratches and graffiti from stainless steel. 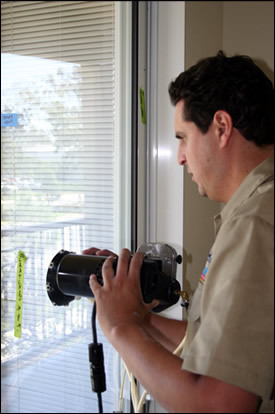 JRP Services guarantees huge savings on glass replacement compared to replacement cost. Our innovative scratch removal and glass polishing system removes scratches, restores glass, removes graffiti and stains fast-and-cleanly from all kinds of windows such as plate glass, dual glazed, skylights, glass rails, slider doors, mirrors and stainless steel at a fraction of the cost of replacement. Our scratch removal and restoration system also removes scratches from acrylic block, Plexiglas, convertible auto rear windows, acrylic fish tanks as well all plastics and acrylics. Scratch removal, graffiti removal and glass restoration services will save you 60 to 80% off replacement cost.